After immigrating from Finland, Sisko Eliina Hokkanen grew up in the Green, Michigan area. This is in the upper peninsula. From the Institute of Migration Emigrant Register Passenger Records. R.M.S Virginian Details: 11,182 tons gross, 6,546 under deck and 6,832 net. Poop 70 feet long, bridge deck 210 feet. House on deck 1,269 tons. The forecastle 113 feet long. She was constructed in steel and had 3 decks. She was fitted for oil fuel and equipped with electric light, refrigerating machinery, submarine signalling device and wireless. Propulsion: single reduction geared steam turbines, and triple screws. The Virginian and her sister ship Victorian were the first triple screw North Atlantic liners, they had 3 steam turbines delivering 15,000 shaft horse-power, giving them a speed of 18 knots. There was passenger accommodation for 346 passengers first class, 286 second class and 1000 passengers steerage. First Grade: Byron Alexander and Sisko Hokkanen. Sisko completed the 8th grade. In 1935 Enoch E. Mäkimaa was an Auto Salesman for a dealership located in Detroit, Michigan at 5800 Woodward Ave. At the time Enoch and Sisko Makimaa lived at 1600 Seward, Apt. 101. Sisko Hokkanen died at Presbyterian Village, Redford, Wayne County, Michigan. This is located at 25300 W. 6 Mile Road. Presbyterian Village is a nursing home. Sisko Elaine Makima (born Hokkanen, October 1, 1901) died at 92 on December 30, 1993. Services were held January 3rd by Rev. Elmer Liimatta of the Apostolic Lutheran Church, Southfield, Michigan, which she attended. The service was held at the Haley Funeral Home, Southfield, and burial at Glen Eden Cemetery, Livonia, Michigan. Eero Keranen played the organ and sang appropriate Finnish and English music. As a small child she came to Green, Michigan from Finland with her parents, John and Elaine Hokkanen. When she and Enoch Erhardt Makima of Mass, Michigan were married December 1, 1921 they moved to Detroit. She is greatly missed by her daughters, Shirley Coller and Lila Riopelle, their husbands, seven grandchildren and fifteen great grandchildren. Her nieces, Eileen Leggatt and Eleanor Karanen and her nephew, John Hokkanen, also have fond memories of her as well as other members of the family and friends. Her talent for painting is admired and treasured by the family. Her memory will be with us always. The first logs were sawn into lumber here (Ontonagon) in January 1900. Later that same year the McMillans bought 9500 acres of timberland west of Ontonagon in the vicinity of what is now Green to assure a long term suppy of hardwood and hemlock for the mill. Unlike most other logging operations of the time, the McMillans sold their cut over land when it became available to prospective farmers. Ansd so, Green was born. 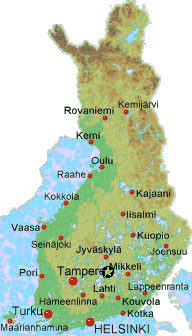 Almost all of the early farmers were newly arrived Finnish immigrants. Sisko Elaine Makima (born Hokkanen, October 1, 1901) died at 92 on December 30, 1993. Services were held January 3rd by Rev. Elmer Liimatta of the Apostolic Lutheran Church, Southfield, Michigan, which she attended. The service was held at the Haley Funeral Home, Southfield, and burial at Glen Eden Cemetery, Livonia, Michigan. Eero Karanen played the organ and sang appropriate Finnish and English music. She is greatly missed by her daughters, Shirley Coller and Lila Riopelle, their husbands, seven grandchildren, and fifteen great grandchildren. 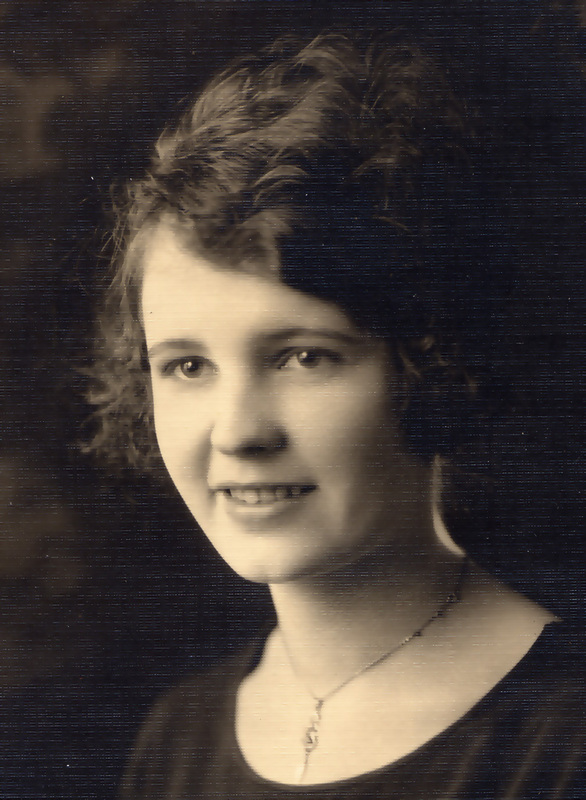 Her nieces, Eileen Leggatt and Eleanore Karanen and her nephew, John Hokkanen, also have fond memories of her as well as other members of the family and friends. Letter to Botsford General Hospital written by Shirley E. Coller after death of Sisko E. Makima. Attention Community Relations Department. I am sorry my mother, Sisko Elaine Makima, cannot fill out your questionairre. She went to Botsford General Hospital Wednesday, November 24, 1993 from Presbyterian Village, Redford, and was discharged Monday, December 20, 1993. She died December 30, 1993. I do not know if her hospital stay should have been longer. Her death was unexpected, and she is greatly missed. 1. Emigration. 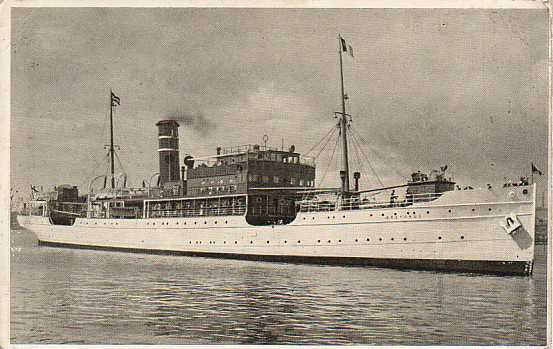 Sisko Hokkanen emigrated from Finland when she was 4 years old on June 16, 1909 leaving from Hanko. The ship was the Arcturus. 2. 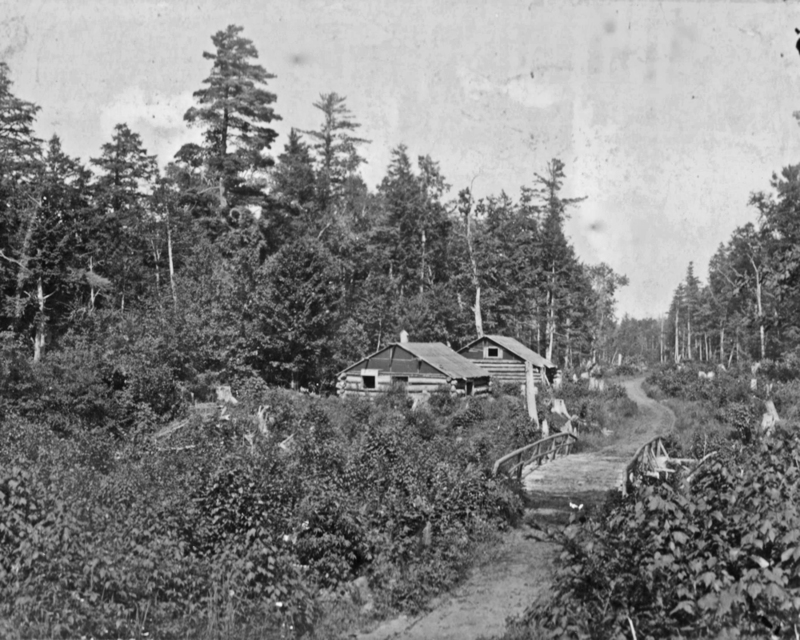 Picture: Iron River Road (M64) at Duck Creek, 1902, Near Green, Michigan. This is M64 which runs along Lake Superior. It is now a smooth two lane highway and the only sign of a creek is a short section of guard rail. This is how the road looked 7 years before Sisko moved into the area with her parents. 3. Emigration: RMS Virginian, 1909. Sisko Makima and her family crossed from England to their new home on this ship. 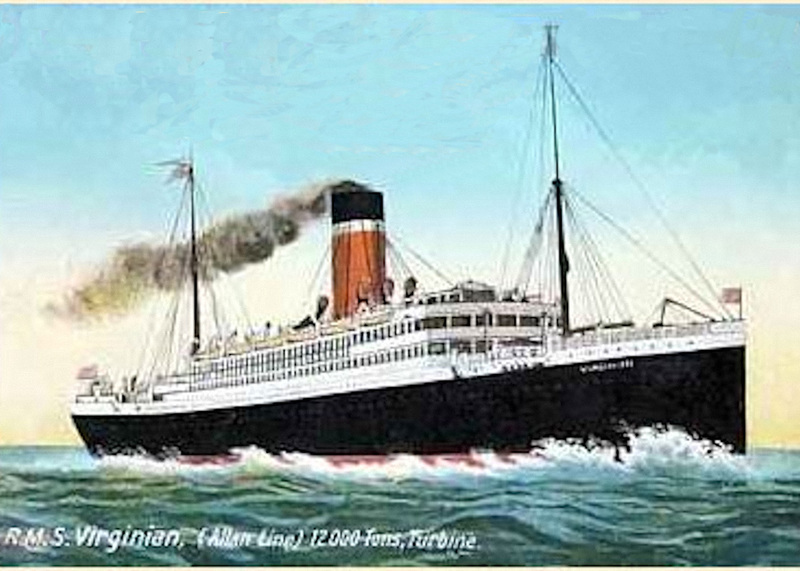 The Virginian was going from Liverpool to Quebec city during the 1909 period of time. Her family departed from England on June 25, 1909. 4. Residence, 1935, Detroit, Michigan. At this time, Enoch and Sisko Makimaa lived at 1600 Seward, Apt. 101. 5. Residence: Green, Michigan (Upper Peninsula). Sisko Eliina Hokkanen grew up in Green, Michigan. It is located in the Michigan's Upper Peninsula just west of Ontonagon. 6. Picture: 1950 Desoto. I remember Grandma Makima driving a Desoto just like this one in the 1950s - Mark Coller. 7. Residence: Green, Michigan, 1909-1921. 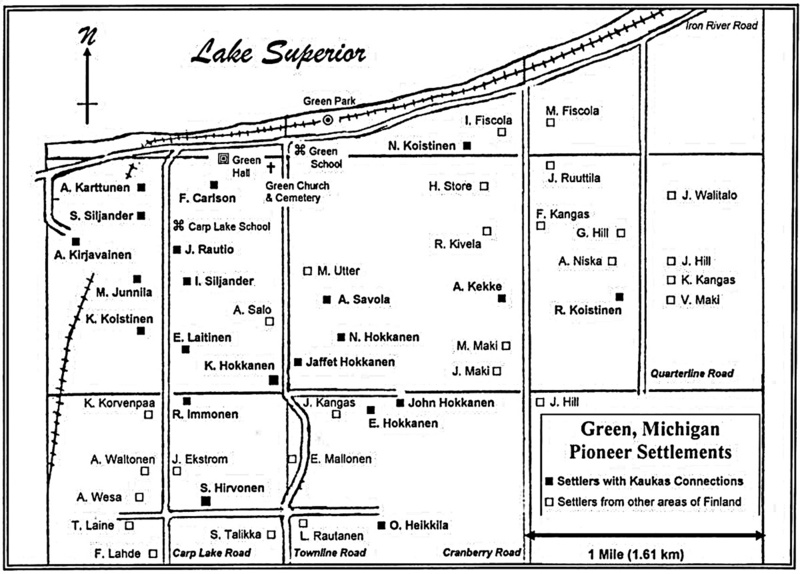 This map shows where the Hokkanan family members settled in Green. The John Hokkanen (Sisko's father) family homestead is located in the lower center of the map. 8. 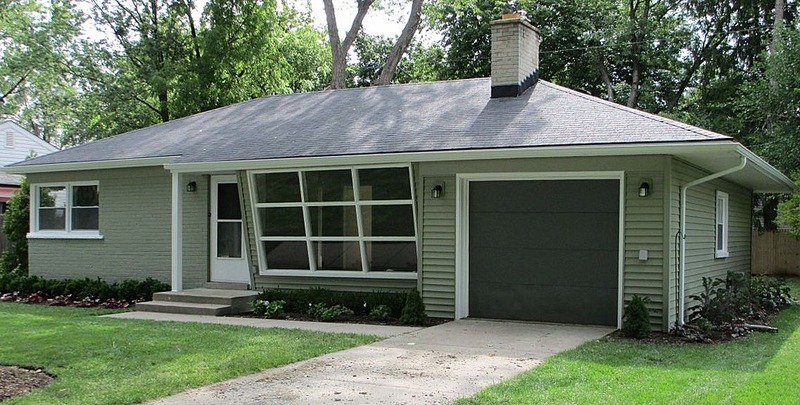 Residence, 1955-1980, 27305 Shagbark Drive, Southfield, Michigan. 9. Picture: Joutsa/Leivonmaki Location. The towns of Joutsa and Leivonmaki are located where the star is. Sisko Eliina Hokkanen and her mother, Eliina Liukkonen were born in Joutsa. John Herman Hokkanen, Eliina's husband and Sisko's father, was born in Leivonmaki.